30-year fixed-rate mortgage (FRM) averaged 4.17 percent with an average 0.5 point for the week ending April 18, 2019, up from last week when it averaged 4.12 percent. A year ago at this time, the 30-year FRM averaged 4.47 percent. 15-year FRM this week averaged 3.62 percent with an average 0.5 point, up from last week when it averaged 3.60 percent. A year ago at this time, the 15-year FRM averaged 3.94 percent. 5-year Treasury-indexed hybrid adjustable-rate mortgage (ARM) averaged 3.78 percent with an average 0.3 point, down from last week when it averaged 3.80 percent. A year ago at this time, the 5-year ARM averaged 3.67 percent. This entry was posted in Bedford Hills and tagged Bedford Hills NY Homes, Bedford Hills NY Homes for Sale, Mortgage rates on April 21, 2019 by Robert Paul. Freddie Mac today released the results of its Primary Mortgage Market Survey® , showing that mortgage rates continued on their downward pattern. 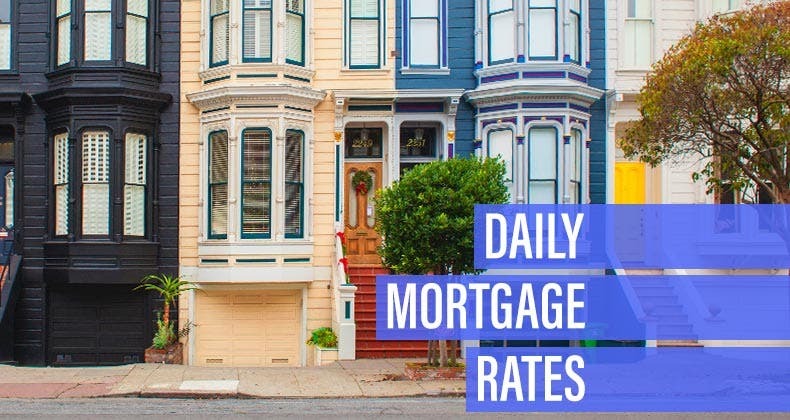 30-year fixed-rate mortgage (FRM) averaged 4.35 percent with an average 0.5 point for the week ending February 21, 2019, down from last week when it averaged 4.37 percent. A year ago at this time, the 30-year FRM averaged 4.40 percent. 15-year FRM this week averaged 3.78 percent with an average 0.4 point, down from last week when it averaged 3.81 percent. A year ago at this time, the 15-year FRM averaged 3.85 percent. 5-year Treasury-indexed hybrid adjustable-rate mortgage (ARM) averaged 3.84 percent with an average 0.3 point, down from last week when it averaged 3.88 percent. A year ago at this time, the 5-year ARM averaged 3.65 percent. This entry was posted in Waccabuc NY, Westchester NY and tagged Mortgage rates, Waccabuc Homes for Sale, Waccabuc NY Homes on February 28, 2019 by Robert Paul. Freddie Mac today released the results of its Primary Mortgage Market Survey®, showing that fixed-rate mortgages fell to the lowest levels since early 2018. 30-year fixed-rate mortgage (FRM) averaged 4.37 percent with an average 0.4 point for the week ending February 14, 2019, down from last week when it averaged 4.41 percent. A year ago at this time, the 30-year FRM averaged 4.38 percent. 15-year FRM this week averaged 3.81 percent with an average 0.4 point, down from last week when it averaged 3.84 percent. A year ago at this time, the 15-year FRM averaged 3.84 percent. 5-year Treasury-indexed hybrid adjustable-rate mortgage (ARM) averaged 3.88 percent with an average 0.3 point, down from last week when it averaged 3.91 percent. A year ago at this time, the 5-year ARM averaged 3.63 percent. This entry was posted in Katonah, Lewisboro and tagged Katonah Homes for Sale, Katonah NY Homes, Mortgage rates on February 15, 2019 by Robert Paul. This entry was posted in South Salem and tagged Mortgage rates, South Salem Homes for Sale, South Salem NY Homes for Sale on January 5, 2019 by Robert Paul.